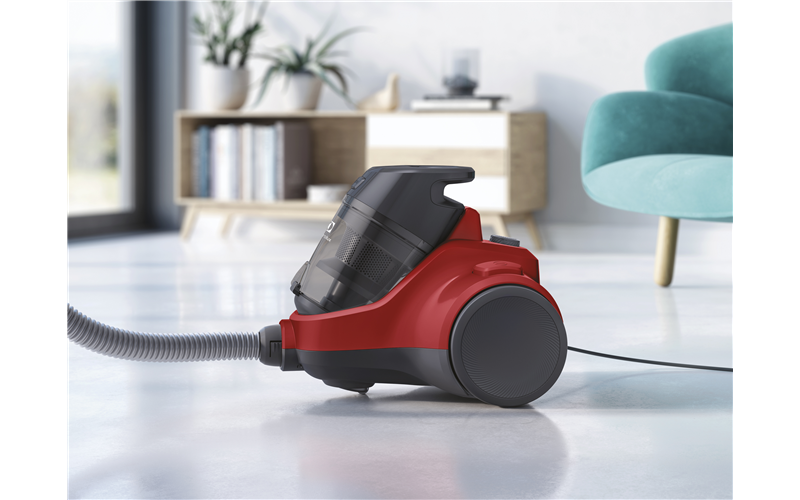 Ease C4 Animal - Chili Red is rated 5.0 out of 5 by 2. 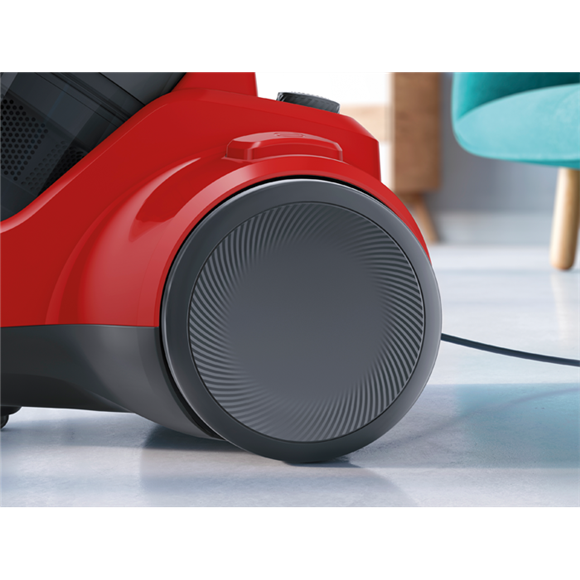 Efficient cleaning, now effortless. 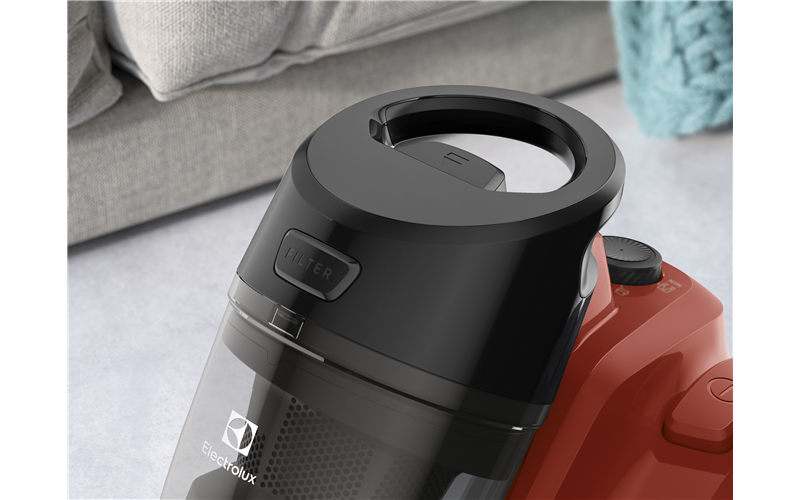 Bagless vacuum cleaner built to filter dust effectively. 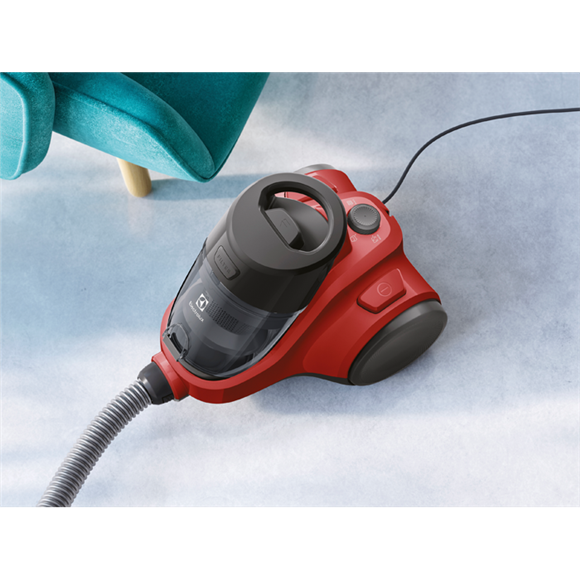 Clean easily with great performance. 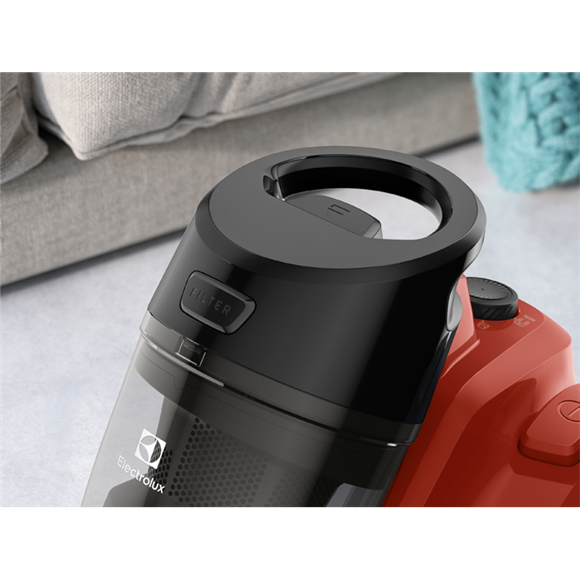 Dedicated cyclones to separate large and fine particles, which results in better performance, less clogging and less maintenance of filters. 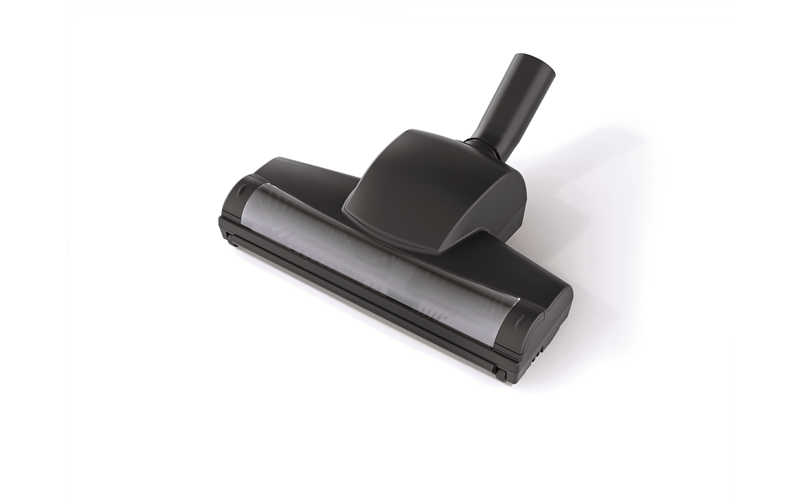 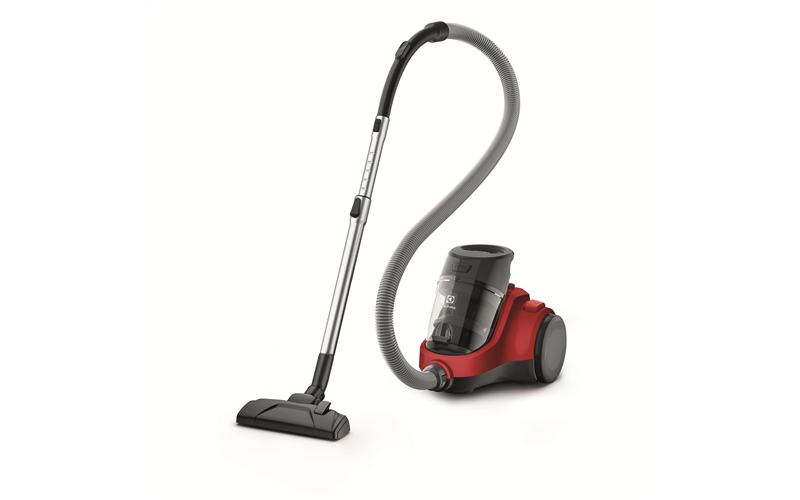 Our bagless vacuum cleaners 4-step system effectively separates dust & dirt for a deeper clean. 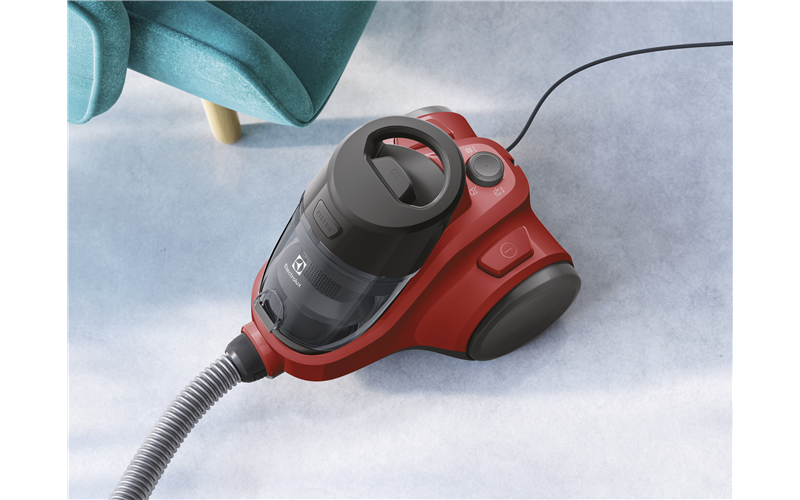 Single button release to carefully dispose your dust in aneffortless way. 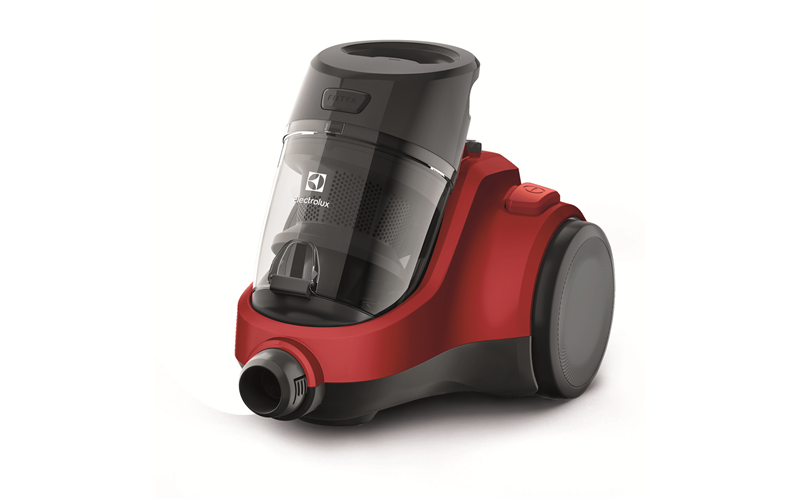 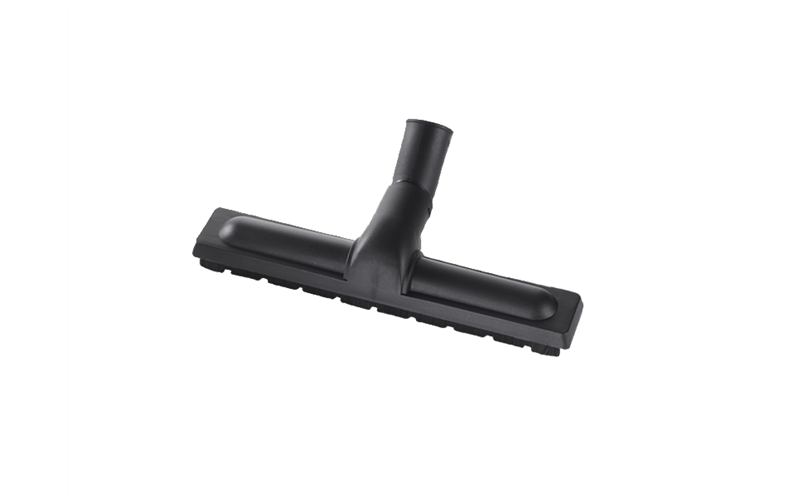 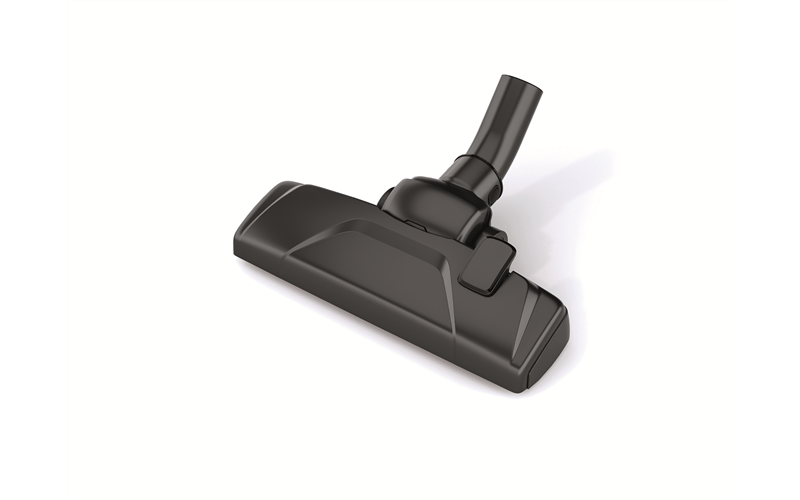 Vacuum twice* as long without having to empty the dust bin as often thanks to the large 1.8L capacity bin. 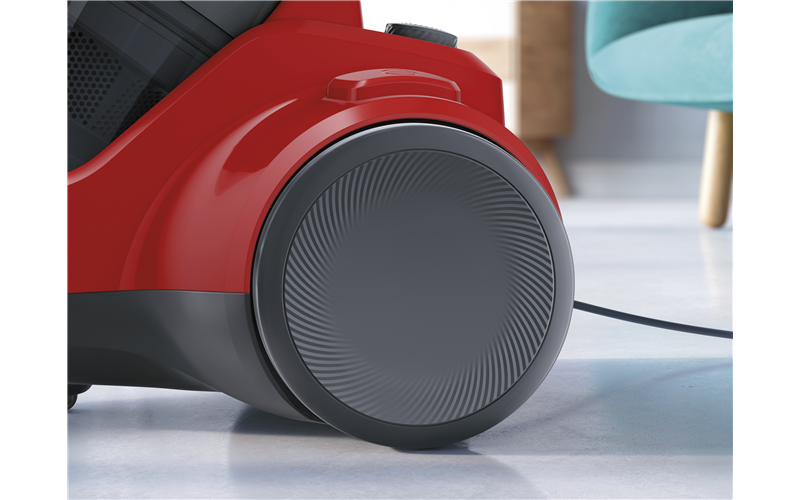 Large rotary wheels prevent the vacuum cleaner from gettingobstructed, meaning improved stability around the home. 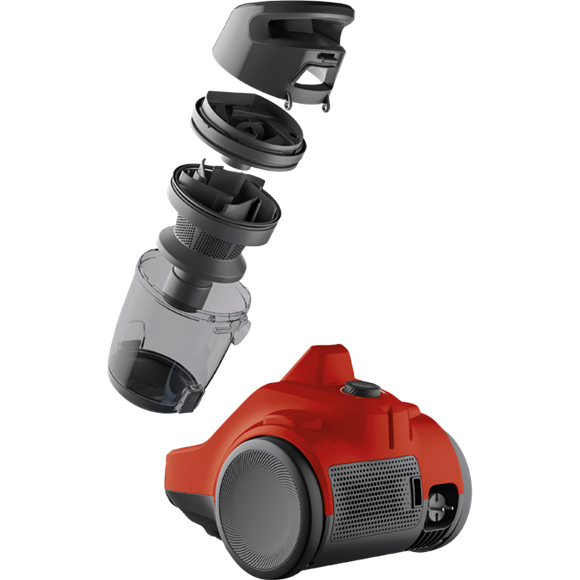 Variable power dial allows you to vary the suction for yourcleaning needs. 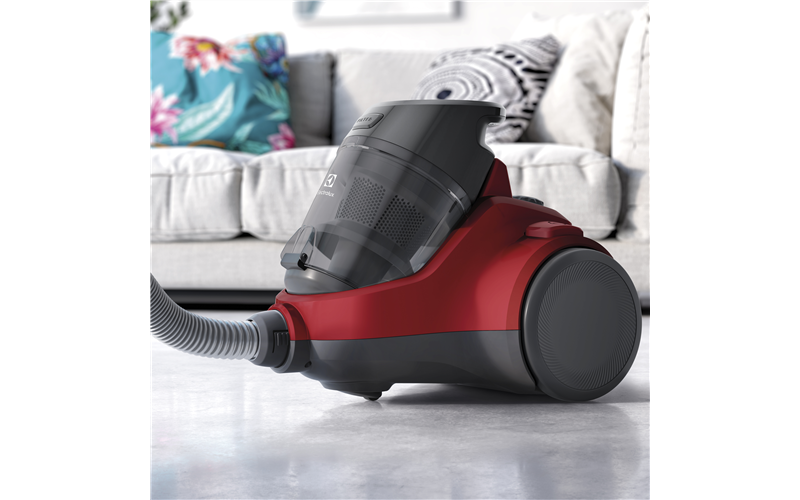 From curtains to hard floors.